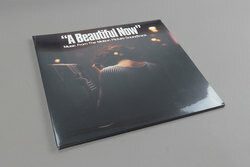 Johnny Jewel - A Beautiful Now O.S.T.. Vinyl LP. Bleep. Few artists exert an influence over the world of contemporary film music quite like Johnny Jewel. The use of the Chromatics/Glass Candy/Desire/Italians Do It Better polymath’s work in the likes of Twin Peaks and Drive has meant that Jewel’s brand of hyperreal synth-pop has become a go-to style for directors wishing to inject a dose of dreamy glamour into their movies. All of the aforementioned groups feature on his soundtrack for Daniela Amavia’s feature-length A Beautiful Now. A Beautiful Now O.S.T. is another triumph of aesthetic and vision from the impressive Jewel.